Looking for a new winter escape destination this year? Costa Rica is topping many people's list for its sun, surf and sand. Looking for a new winter escape destination this year? Costa Rica is topping many people's list for its sun, surf and sand. Costa Rica occupies a privileged spot in the heart of Central America. While its territory of 19,652 square miles touches both the Caribbean Sea and the Pacific Ocean, the country is surprisingly accessible - one can travel from coast to coast in just three hours by car (or 45 minutes by plane). 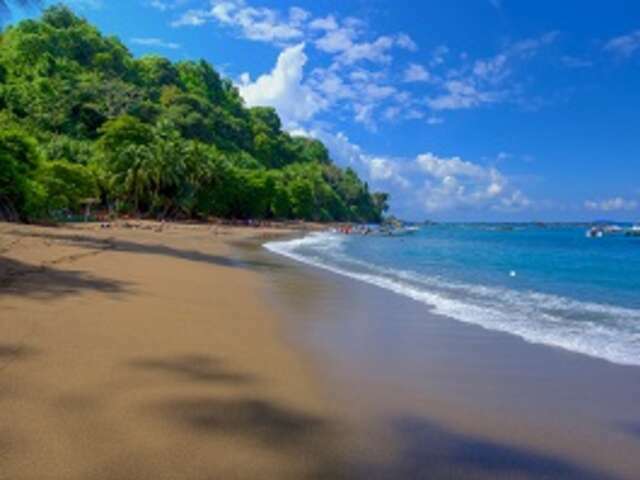 The Caribbean region of Costa Rica stands out for its variety of aquatic ecosystems and its beautiful white and black sand beaches, providing an ideal setting for activities such as sport fishing, snorkeling, and sun bathing. The Pacific coast concentrates big tourist centers and its beaches are very popular for surfing, for example Esterillos, Jaco, Hermosa, Boca Barranca. In the Golfito region, near the Marino Ballena National Park, surfing fans can find the famous "long lefthander wave." Costa Rica's beaches are surrounded by forests, and have great natural diversity. In many of them there are beautiful coral reefs, where you may dive and explore. In addition, depending on the place visited, you have a series of complementary activities, such as: hikes to mangroves, diving, surfing, sport fishing, hiking on trails or horseback rides. As the capital of the country, San José represents the capital of culture and amusement. Offering a series of places for all family members to enjoy the museums, theaters, cinemas, and recreation centers. Among the most relevant, the imposing, gothic architecture of the National Theater with performances that include every art gender. The Gold Museum will show you Pre Columbian, Costa Rican art. The National Museum will let you travel through Costa Rica’s history and the Children’s Museum, will guide you and your family through an interactive learning adventure, applied with innovative devices on each subject, to learn while you all play. Considered one of the most bio-diverse regions in the world, Costa Rica is divided in 20 natural parks, 8 biological reserves, and a series of protected areas that captivate ecotourism lovers. The variety of activities includes horseback riding, hiking mountainous paths in the cloud forests, and guided bird-watching tours. Contact your UNIGLOBE Travel consultant today for great vacation advice about your winter getaway to Costa Rica!